The Jury is formed by international experts of proven distinction in the water and communication sector from international organizations, initiatives, universities and Think Tanks, among others. After being evaluated by a Technical Advisory Committee (TAC), all applications are forwarded to this international Jury which reviews all applications and votes for selecting winners of the 2012 edition. Holding a Master of Sciences in Water Sciences and a PhD in Soil-Plant-Water Relationships from the University of California in Davis, Mr. Steduto has been working for more than 20 years on agricultural water use efficiency and water productivity, with a focus on crops water requirements, their yield response to water and associate modeling development under water scarcity conditions. 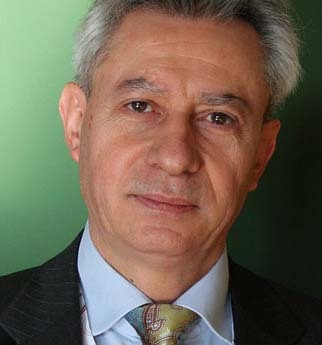 Author of over 100 publications in scientific journals and books, he joined FAO in 2003. He has been the UN-Water Chair for the years 2007-2009 and has served as a member of the Global Agenda Council for Water Security in the Global Economic Forum. Presently he is Advisory Committee's member of the World Water Week at the Stockholm International Water Institute, Board of Governors' member of the World Water Council, and coordinator of the priority theme on water and food security for the World Water Forum 6. Mr. Avinash C Tyagi, have joined the International Commission on Irrigation and Drainage (ICID) as Secretary General in January 2012. Prior to this, he was Director of the Climate and Water Department of the World Meteorological Organization (WMO). An Indian water management expert, he has worked for over 28 years in India and was Commissioner of Policy and Planning in the Union Ministry of Water Resources, Government of India, before he joined the WMO in 2003. Mr Tyagi has long experience in various facets of water resources management. 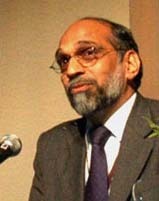 As Director of Climate and Water Department, Mr. Tyagi was responsible for providing support to the WMO Member countries in the field of water resources management including flood management and climate related activities including adaptation to climate change particularly in the water sector and agriculture sectors. Mr. Tyagi is an ardent advocate of multi-disciplinary collaboration for solving complex development challenges, a continuing dialogue with various stakeholders and community participation in the water sector. At WMO he has contributed to the development of Global Framework for Climate Services, an initiative launched by WMO and its partner UN Agencies to meet the societal needs for adaptation to increasing climate variability and change in various sectors. Ms. Carazo holds a degree in Engineering from the University of the Basque Country and complementary studies in education, gender, international development and humanitarian aid. Since 2008, Blanca has been working as project officer for development cooperation projects at UNICEF Spain. She coordinates project management activities with 22 UNICEF country offices and is also involved in negotiations with local and regional governments of Spain. She acts as the country organization's focal point on water, sanitation and hygiene issues. Prior to this appointment, and since 1998, she has been involved in water, sanitation and hygiene programs and initiatives with a special focus in hygiene promotion, gender and behavior change communication processes. Between 1998 and 2000 she worked for UNICEF in Mexico supervising water and sanitation programs in rural and peri-urban areas and, in 2004, she promoted water collection and alternative waste treatment initiatives in the OPT for the international humanitarian organization Action Against Hunger. She has also supervised health, education, nutrition and gender projects in Benin, Cameroon, the Ivory Coast, Guatemala and Peru with different NGOs and has worked in water network monitoring and improvement issues with private companies in Spain. Since 2005, she has been collaborating with the University of Alcala de Henares and with the Escuela de Organización Industrial (EOI), where she organizes lectures and workshops on Hygiene Promotion in Masters and summer courses. She has also prepared and translated manuals and documents on this issue. 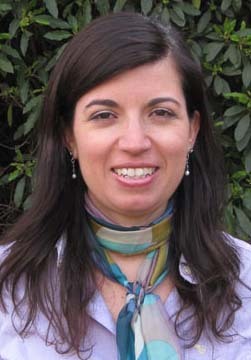 Caridad Canales entered the United Nations system in June 2010, joining the Natural Resources and Infrastructure Division of the Economic Commission for Latin America and the Caribbean as Economic Affairs Officer. Since starting, Caridad has collaborated on various publications related to the management of water and sanitation services in the region and has participated in several conferences speaking on topics such as water and climate change, new water culture and water resources assessment. Prior to joining ECLAC, she was a specialist in corporate social responsibility at the Earthwatch Institute in England for over two years. During this time she developed research programs in conjunction with companies from various sectors and contributed to the implementation and coordination of projects on sustainable agricultural practices and climate change adaptation. In 2006 Caridad was awarded the Shell-Chevening scholarship to pursue a Masters in Environmental Sciences at the University of Oxford, United Kingdom. She has also completed various postgraduate and specialist courses in sustainable development; environmental law and policy; standards and certification in water resources management. She served for more than three years as an environmental specialist and coordinator of one of Latin America's largest telecommunications companies, contributing to the development of one of the pioneering environmental certification programs in that sector in Mexico. In addition to her specialization in water management and sustainable development, Caridad also has training in international relations and politics. 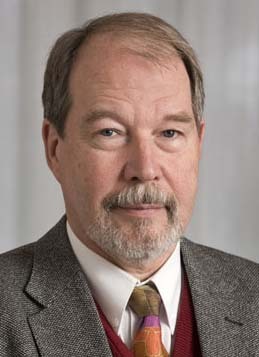 Mr. Malmqvist currently works at the Stockholm International Water Institute (SIWI) as Scientific Director, responsible for the Stockholm Water Prize and the Stockholm Industry Water Award. He is also a Professor at the department of Water, Environment and Technology at Chalmers University of Technology, Gothenburg, Sweden. Prof. Malmqvist has a PhD from Chalmers University of Technology's Department of Civil and Environmental Engineering and an MBA at Gothenburg School of Economics. He won the Swedish Water Prize in 2001. Before joining SIWI, Prof. Malmqvist has been a Managing Director of CIT Urban Water Management AB, and he is a member of its board today. He has also been an associate professor at the School of Environmental Engineering at Luleå Technical University, and has been a Programme Director of the MISTRA Programme on Sustainable Urban Water Management, where he contributed significantly to developing and testing models and methods for systems analysis of urban water systems, which were later applied in Sweden and abroad. Prior to this he worked in different managerial and engineering capacities with the consulting company SWECO.